The Second Volume Of Never Before Released Original Music From The Classic Gerry Anderson SuperMarionation Shows. Featuring music from: ‘Thirty Minutes After Noon’, ‘End of The Road’, ‘The Duchess Assignment’, ‘Terror In New York City’, ‘Give or Take A Million’ and ‘Security Hazard’. 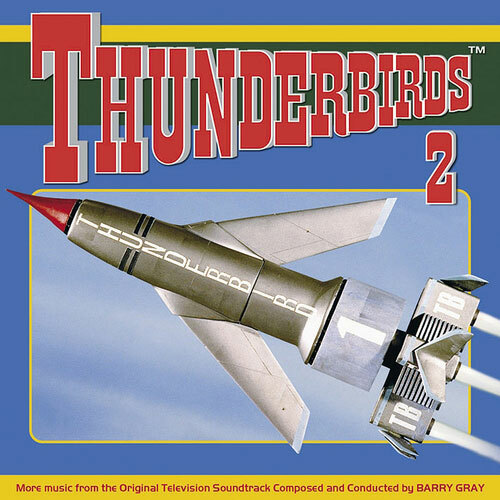 Composed and conducted by Barry Gray, whose works also include the original television scores for Stingray, Captain Scarlet, Joe 90, Space 1999 and UFO. The recordings have never been made available before and have been carefully restored and edited from Barry Gray’s own archives courtesy of The Barry Gray Estate and Carlton International.